With the mobilisation of contractors to reconstruct over 140 roads across the state, residents of Edo State have applauded Governor Godwin Obasekiâ€™s resolve to bridge the infrastructure gap in the state, noting that the development would immensely impact their lives and businesses. The reconstruction of the roads is a measure by the Governor Obaseki-led government to put the roads in good shape, while work advances on new roads. A cross-section of residents across the state, who spoke to journalists at the weekend, hailed the governor for rehabilitation of the roads, as the decision to work on the roads in the dry season will ensure that they are durable. 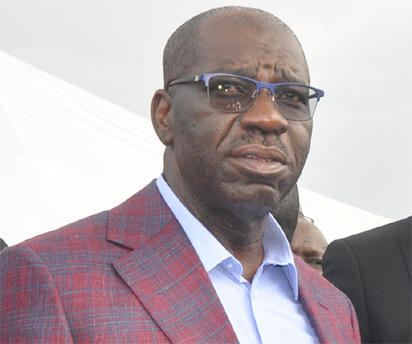 A resident in Mosheshe Street in Ugbekun area of Benin City, Mr. Austin Iserenren, said â€œthe gesture by Governor Obaseki has brought relief to us who reside here. We have endured hardship for quite some time. Before this project was awarded for reconstruction, we struggled to get out of our neighbourhood, especially during raining season. â€œI commend Governor Obaseki for this step. I am truly surprised that the reconstruction of the road has come to fruition. When officials of the state government were here not long ago to do assessment of the road, I said this was another stunt by the state government because we have seen similar things in the past and nothing came out of them,â€ he added. The re-construction works are ongoing on Jemila Street/Ohovbe Road in Ikpoba Hill, and Lawani Junction by Urubi Street, Sokponba Road, Aburime Street and Delta Crescent off Ikpokpan. Others are Boundary Road and Commercial Avenue, as well as Ogbelaka, Yoruba Street and Dumez Road, Ugbor-Amagba Road, as well as roads in Government Reservation Area (GRA) in Benin City. Work is also ongoing on Mousco â€“ Ukpenu Road, Ekpoma; Irrua â€“ Uromi Road; Secretarial Road, Igueben; Union Bank Road, Igueben and Uwenlebo Road, Ekpoma, in Edo Central.